Indotech has a well equipped computer lab connected with a wireless LAN. The wireless LAN makes it possible for any faculty member or student to easily connect to the campus network. Internet facility is provided through a wireless link and is available for all students for conducting online research. Internet access is also available in the hostels. A Computer Maintenance Cell takes care of all the hardware and software problems of the computer hardware located in campus and in the hostels.Students who wish to purchase their own desktops or laptops will be assisted by the college in finding the lowest cost vendors and in getting good maintenance contracts. 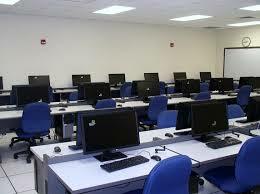 The students can also avail the services of the Computer Maintenance Cell for their H/W and S/W problems.